Edidot primary school was established to educate all children irrespective of their background. We give each and every child personalized attention. We are an international co-educational school for pupils ages 5 to 11years old we have grades one through six. 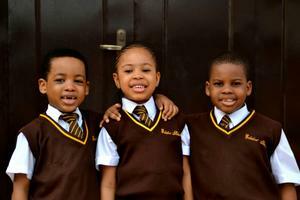 Edidot Primary school runs a blended Nigerian/British and Montessori curriculum, catering for all pre-college levels, Grade 1 to 6. Our core values are fear of God, good morals, discipline, punctuality, academic excellence, honesty, integrity, respect for the school property, respect for self and diligence. Pupils are assured that they can do all things through hard work. Each year our pupils pass their various entrance examinations with high scores and all our previous students are admitted in the college of their choice. We are not afraid of inter- school competitions, because we always come back with medals, laurels, awards, and certificates. We look forward to you joining our family.